Former NFL tightend Bear Pascoe of Morro Bay and Steve Simons of Sanger roped four steers in 34.21 seconds to win the event and $47,610 total per man. RENO, Nev. — A retired NFL tight end and a cattle contractor – both recreational team ropers – raked in $95,220 with their ropes on Tuesday at the 22nd edition of the #11 Reno Million. Californians Bear Pascoe of Morro Bay and Steve Simons of Sanger roped four steers in 34.21 seconds to win the event and $47,610 total per man. They needed only a 10-second run to clinch the win, but finished in 8.8 seconds. His partner did just that, motivating himself by thinking of a couple of things his wife could use with the money. Simons, formerly in the construction business, provides steers for ropings across California. He and Bear’s dad Sean Pascoe had roped for years together and he and Bear, originally from Porterville, are close friends. The Reno Million was founded in 1996 by local real estate developer Perry Di Loreto and is now owned by Ullman-Peterson Events. It was designed to give equally matched amateur ropers across the country a chance at six-figure payouts, using a handicapping system similar to golf. 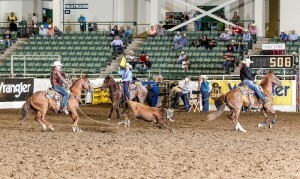 Traditionally, the roping was top-loaded and promoted first-place payouts of $100,000. This year, organizers used a format closer to official payoff formats at World Series of Team Roping events. , distributing the same money without a large gap between first and the other places. 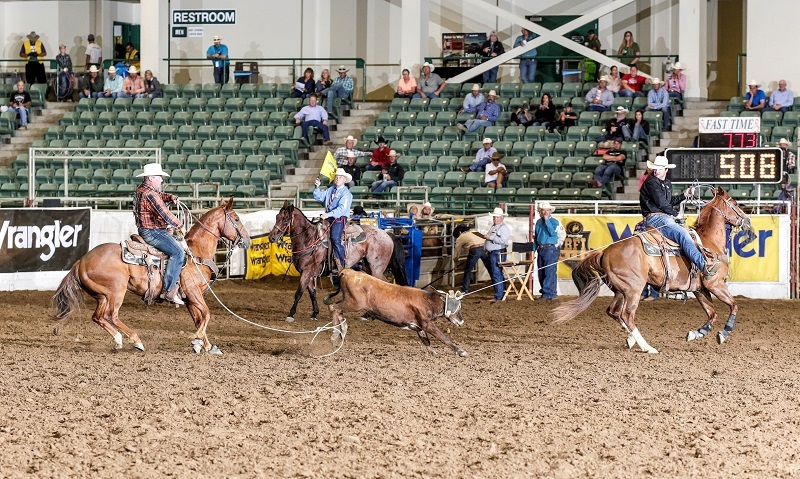 This year’s Reno Million drew 120 teams, each of whom paid a $5,500 entry fee and were screened to ensure their roper classification numbers didn’t exceed 11.5. It’s been a good week for 32-year-old Pascoe – the #6 header was also placing Tuesday in a tie for fifth in steer wrestling at the adjoining $600,000 Reno Rodeo after wrestling two steers in 9.6 seconds. He expects to make Saturday night’s short round, along with his wife, Katie, who was winning the barrel racing. Pascoe, who spent five seasons playing for the New York Giants, caught four passes in their 21-17 victory over the Patriots in the 2011 Super Bowl. But he continued to rope during every off-season. Today, he and Katie ranch on land owned by her father, Hall-of-Fame steer wrestler John W. Jones Jr. Meanwhile, the 6’5” Bear is also becoming a certified CrossFit trainer. Pascoe said continuing to work out helps him mentally as much as physically. He gives credit to his dad for imparting lots of good advice on the mental game over the years. “Besides being a good horseman and a good cowboy, he’s hard to rattle,” Bear said of his father, Sean, who was also competing in the Reno Million. In fact, Simons, a 5-Elite heeler, likens the entire Pascoe clan (Bear has twin siblings) to Louis Lamour’s fictional Sacketts. The baby of the family, Bear has no plans to stop roping or wrestling steers. Custom-made bronze trophies crafted by Montana Silversmiths were awarded for the best head horse and heel horse at the Reno Million, chosen by a committee watching throughout the day. Texan John Coltharp’s mount won the Heel Horse award, while Lucy Bishop’s earned the bronze awarded to the Head Horse of the Reno Million.